CLEVELAND, Ga. — A White County woman is charged with shooting her neighbor following an argument that took place at 251 Backpacker Drive in the Tray Mountain community last Friday. 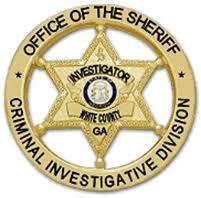 White County Sheriff’s Office deputies were dispatched to the area of Tray Mountain in reference to a shooting. At the bottom of the mountain, they made contact with Leah Marie Sandusky, 42, who had been shot in the buttocks. She was transported by EMS to Northeast Georgia Medical Center. Investigators learned that the alleged shooter, Tina Nix, 47, who lives at 800 Mule Branch Road, went to the victim’s residence and an argument started in the driveway. During that argument, Sandusky was shot in with a small caliber handgun. According to the statements made by participants, the argument was over a misunderstanding between the victim and the offender’s husband. Deputies along with Investigators located Nix at her residence where she was taken into custody. Early the next morning Investigators executed a search warrant at 800 Mule Branch Road in an attempt to recover the firearm that was used in the incident. The firearm was not located at that time, however, during the search, marijuana was found. After investigators learned some additional information, a second search warrant was executed on the same residence on Monday, Sept. 9. During this search, the firearm was recovered. Nix is charged with aggravated assault, possession of a firearm during the commission of certain crimes and possession of more than an ounce of marijuana. William Christopher Nix, 56, was charged with possession of more than an ounce of marijuana. Tina Nix is currently in custody with a $25,000 bond. The victim was treated at the hospital and released. The investigation is ongoing.